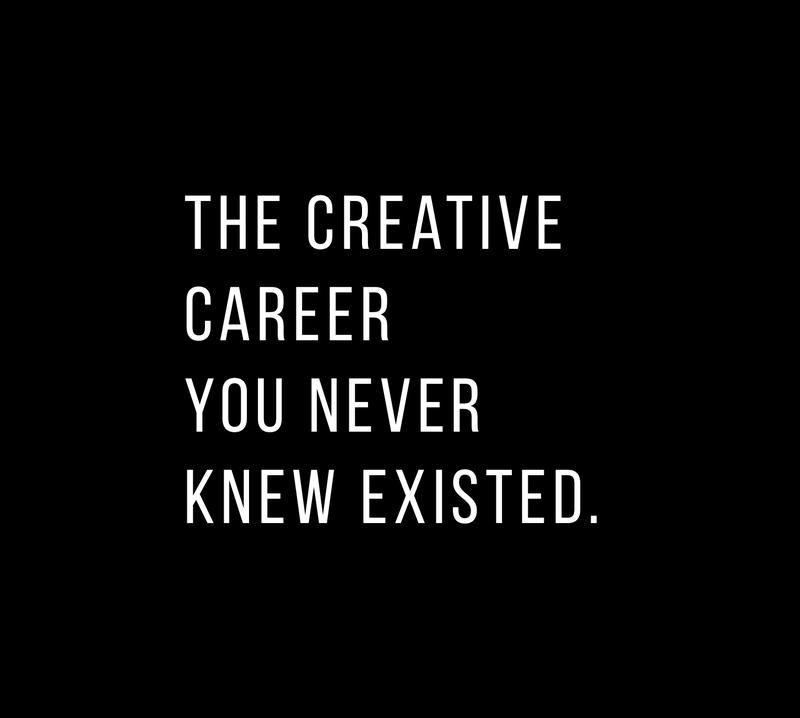 THE CREATIVE CAREER YOU NEVER KNEW EXISTED. Picking a career is hard. It took me a while to figure this one out, mainly because the career that I had dreamed of was a secret hidden deep within tech communities. Before discovering my career soul mate, I’d experienced the hardships of working at a job that I wasn’t a good fit for. It was horrible. If there’s one thing I’ve learned from working in an industry I didn’t belong in, it’s that it can be really easy to base your self worth on the way you perform in your work-place. It’s easy to put yourself down. Forgetting ketchup may not seem like a big deal, but it can start to get to you. Especially when things go wrong repeatedly throughout your day and customers roll eyes and hiss about how many lemon seeds slipped into their water. In any job that you are unfit for, there comes a time where negativity sneaks into your mind and before you know it, you’ll begin to question your worth and capabilities. You’re worth more than you think and you’re capable of more than you’re doing. When I had finally found the career that I knew was my career soulmate, I took a crazy leap of faith and sacrificed my social life for two months to attend Ironhack Miami, a ux/ui design bootcamp that would change my life forever. When I graduated, I was happier and I felt like I had something good to contribute to the world other than a positive attitude. I was worth more than I thought and so are you. So, how do you choose ? Said like a true designer, the answer is research. You know what you want better than anyone else and although it may seem outrageous and impossible, it’s not. There was no way that I would give up and settle and you shouldn’t either. UX — User experience and UI — User interface is a combination of psychology, creativity, curiosity and critical thinking. As a ux/ui designer your responsibilities are mainly these three things; make whatever your hired to make, if it’s a mobile application, website or table: INTUITIVE, FUNCTIONAL and PLEASING to the eye. Do you have what it takes ? Anyone can learn ux/ui. It doesn’t take anything more than a willingness and open mind to grasp the psychology based concepts that are used to shape the tools used within the design process. It’s all about improvement and empathy in ux design, so if you’re caring and creative, consider it. Why ux/ui is awesome ? You’ll have this amazing opportunity to be apart of something meaningful that would positively effect the people using your product. Right now technology is advancing fast as ever, this is the time to jump aboard. UX/UI designers are in high demand, especially in the Fort Lauderdale/Miami area. Our future is going to be highly effected by the tech communities across the world, be part of it and let it be a positive effect. You can work remotely or in an awesome startup. The luxury of working remotely is a beautiful thing, allowing you to travel often and scratch off more items on your bucket list. A lot of companies will offer you the opportunity to work remotely and while it’s a great option you’d certainly be missing out on the coolest work environments that some awesome startups have to offer. A portfolio with 3 or more projects, accompanied by a good detailed walkthrough of the ux process is all you need to show your worth to a company(and a positive attitude). Great focus on how you brand and present yourself in one unified way is a great way to get hired. If you’re a creative person, think about it. UX/UI, might just be the career you’ve been looking for. Hi, my name is Savanah; I am a passionate UX/UI Designer, writer, photographer, and video editor.